We’d love your help. Let us know what’s wrong with this preview of When We Were Lost by Kevin Wignall. When a plane bound for Costa Rica crashes in deep jungle, the tail section breaks free and nineteen teenagers miraculously survive. Joel Aspinall, son of a local politician and student rep on the school’s council, is quick to take on the mantle of leadership, to organize everyone until a rescue party arrives. But the plane was crashed on purpose, no one knows where they ar When a plane bound for Costa Rica crashes in deep jungle, the tail section breaks free and nineteen teenagers miraculously survive. Joel Aspinall, son of a local politician and student rep on the school’s council, is quick to take on the mantle of leadership, to organize everyone until a rescue party arrives. But the plane was crashed on purpose, no one knows where they are and no rescuers are coming. To make things worse, Joel’s decisions lead to more people dying, and he’s determined to wait it out. To ask other readers questions about When We Were Lost, please sign up. 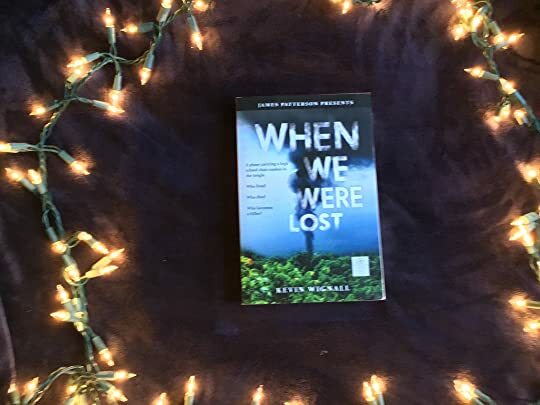 A gripping, white-knuckle survival story set in the unknown depths of the Amazon jungle, When We Were Lost explores the razor-thin line between life and death, and what it really means to be alive. JIMMY Patterson who published this novel, also published my all time favorite book, Stalking Jack the Ripper so I obviously had high hopes for this book. Most of the stuff I've read from Patterson's Imprint has been very good or at the very least, mediocre. I think the reason I didn't enjoy this is in part because it felt very off. It felt so different to what JIMMY Patterson usually publishes. Most of the book from this Imprint are either horror, or mystery. This being survival story, it felt very off brand and alien. A plane carrying a high school class crashes in the jungle. First, I need to point out that I really struggled to even keep track of who died and who lived because everyone had white people names! Alice, Tom, Chris, Kate, Joel!? Come on people. Be more creative (*cough* and diverse *cough*) with your characters. Second, it says Who becomes the killer. The answer is not a single person. NO ONE! There was no killer. I went into this expecting a survival story/murder mystery. I kept comparing it to Hachet and Lord of the Flies in my head but it fell very short of both of the novels. I like when a book jumps right into the story but it must do it right. When I opened this book, I admit, I was intrigued at first but I slowly lost interest. The whole plane crash was brushed over. We never find out why or how the crashed which was very frustrating because in Hachet everything is very clear. Another thing. I could not connect with the characters at all. It felt like when you try to push two magnets with the same charge towards each other. No matter how hard you push it pull, you just can't make them click. Partly, it was because the characters felt so flat and generic, like something you pull out of a pre-made meal box. We had Tom, the protagonist(?). Even though he was a lot like me, anti-social, anxious and the like, I still hated him. Instead of feeling like he was strong in spite of all his faults, it felt like he just didn't give a sh*t. Now, I would talk about the other characters but I honestly can't remember them because they were so boring and forgettable. The only reason I remember Tom so because he was shoved in my face throughout the whole book. It really annoyed me that I felt like the book was going so fast and yet a was ridiculously bored. Even though they were supposed to be in danger, the whole situation felt silly. All of them were fine and never got hurt. Except for the ones that did but even then it felt so dumb. I felt like I was supposed to feel something but I just didn't because I did not give a sh*t about any of the characters! Also, the cause of death was just brushed over. Like, they would say one sentence and then move on. Ugh. Even once they get rescued (I'm not even marking that as a spoiler because it was so predictable), they didn't not to into it at all. They just were like: Welp, we're rescued now. Everything's great. And then it ended. We never hear about the families reactions, which kids get PTSD. Nothing!!! Overall, a big disappointment. I expected more. I won this ARC copy through a Goodreads Giveaway. Thanks to JIMMY Patterson Books | Little, Brown and Company | Hachette Book Group and to author Kevin Wignall. The novel is a YA action adventure that focuses on the survival of a group of high schoolers. The plot is what I expected for the most part with a couple of surprises through out the book. The main character is an introvert, but you have the expected group of diverse personalities among the rest of the group. This is a fast read and one I won this ARC copy through a Goodreads Giveaway. Thanks to JIMMY Patterson Books | Little, Brown and Company | Hachette Book Group and to author Kevin Wignall. The novel is a YA action adventure that focuses on the survival of a group of high schoolers. The plot is what I expected for the most part with a couple of surprises through out the book. The main character is an introvert, but you have the expected group of diverse personalities among the rest of the group. This is a fast read and one of the main reasons that I did not give it a 5 star rating is that I felt the language had been simplified too much for 17 year-olds. It seemed to be at a junior high level at best. Mary Beth *Traveling Sister* Great review, Pam! Congratulations! Always great to win a book through the Goodreads giveaways. Glad that you found it entertaining. So, when I got this book, I was horrified by these words: Presented by James Patterson. Patterson makes me break out in hives. However, he does do a good job of picking out and supporting some good YA adventures. This is a good book. It's a very exciting YA survival story. While there are certainly deaths, I thought they were a little...few and gentle (?) for the situation they were in. I get that this is YA, but YA readers can take a little more edge and realism. That being said, the adventure wa So, when I got this book, I was horrified by these words: Presented by James Patterson. Patterson makes me break out in hives. However, he does do a good job of picking out and supporting some good YA adventures. That being said, the adventure was still an exciting one and I loved most of our characters. Our main character is very different - his personality isn't your normal YA guy - and should appeal to readers who feel just a little on the outside of the school social scene. This is a good book. It's a very exciting YA survival story! I think anyone who likes plane crash then survival books will like it. Nineteen teenagers survive the crash and soon have to find out how to survive. This book did have its con's don't get me wrong! But in the end I enjoyed it and look forward to reading a finished copy! Right now this is getting two stars, but it might go up to three. I’m going to have to think on this one for a minute because I’m really conflicted. The plot was (mostly) good, but nothing else was. Full review closer to release. I loved this book! A very thrilling novel that I think anyone who likes plane crash then survival books will like. The main character was interesting in a sense that they necessarily didn’t want to be the main character. I also think that the book included such diverse personalities that most readers will be able to find a piece of themselves in this book. With all the things I loved about this book, my only dislike was that the ending was a little bit short. The lead up to the end, very thoroug I loved this book! A very thrilling novel that I think anyone who likes plane crash then survival books will like. The main character was interesting in a sense that they necessarily didn’t want to be the main character. I also think that the book included such diverse personalities that most readers will be able to find a piece of themselves in this book. A large group of teenagers from the same high school are headed to Costa Rica on a do-gooder mission when they're awakened from sleep to find their plane is crashing. Nineteen teenagers survive the crash and soon have to find out how to survive. The adventure here was exciting and the comparison to both Lord of the Flies and the tv show Lost is apt. I enjoyed every minute of When We Were Lost. I found the book was exciting to read I really wanted to finish it to see how it ended. The ending however I found a little bit disappointing the story was good and thought out however the ending was rather abrupt and left a few things unresolved in my opinion. Overall though I really enjoyed this book. I think every teen can relate to each of the characters in this book as they try to work their way out of the jungle after a plane crash. Enjoyed the "butterfly effect" added to the storyline. This book is amazing! I am a 13 year old 8th grader reading the ARD and I love it so much. Tom is such a relatable character. There are so many twists in the book that keep you wanting to read it page after page. Un Lost/The lord of the flies para adolescentes. Giving this one two-stars for now, but it may go up, as I’m very conflicted. Review will be up on my blog closer to the release date. Imagine being on a plain going to Costa Rica with your classmates and none of them care about you. Imagine the plain crashes in the middle of a jungle. You are one of the lucky people that survive. But for how long? How much are you willing to do to survive? I have read the book When we were lost by Kevin Wignall. The book is in the genre adventure. All the events the protagonist experiences presents danger and it is exciting. He is going on an adventure through the jungle. Tom sits on a plain to Imagine being on a plain going to Costa Rica with your classmates and none of them care about you. Imagine the plain crashes in the middle of a jungle. You are one of the lucky people that survive. But for how long? How much are you willing to do to survive? Tom sits on a plain together with his teachers and classmates. They are going on a trip to Costa Rica. This is not something Tom have looked forward to. His classmates does not care for him, and he does not care for them either. But it gets worse. Suddenly the plane crashes in the middle of a big jungle and Tom is lucky to be alive. For now. The students are on their own, some students and all the adults are dead. Friendships get created, hatress gets created. Danger, love, sorrow and death are some of the things these students have to go through. It is all a matter of time. The characters are very well described and easy to get to know. The book is not a part of a series. I give the book four stars. I really liked the book because it was so well written and kept my excitement all the way through. It contains a lot of good thoughts about life that made me begin thinking and wondering. Although, I miss the big climax. I feel like it did not reach its full potential, because the story is so good. I really recommend this book if you are looking for an exciting and adventurous book. You have a very good reading experience in front of you. 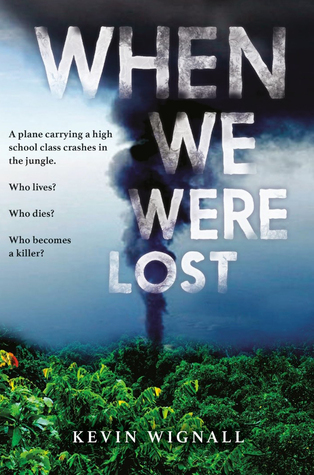 I thought a book about a high school class’s plane crashing in the jungle would be a nonstop thrill ride, I wasn’t totally wrong, but I wasn’t totally right either. This is a book that didn’t quite reach its full potential. It had a slow beginning and it took about 75 pages for the story to fully grab my attention. Things I wanted to be resolved weren’t which left me a tad disappointed in the ending. There’s lots of action in the groups quest for survival. With jaguars and other assorted jungle I thought a book about a high school class’s plane crashing in the jungle would be a nonstop thrill ride, I wasn’t totally wrong, but I wasn’t totally right either. This is a book that didn’t quite reach its full potential. It had a slow beginning and it took about 75 pages for the story to fully grab my attention. Things I wanted to be resolved weren’t which left me a tad disappointed in the ending.